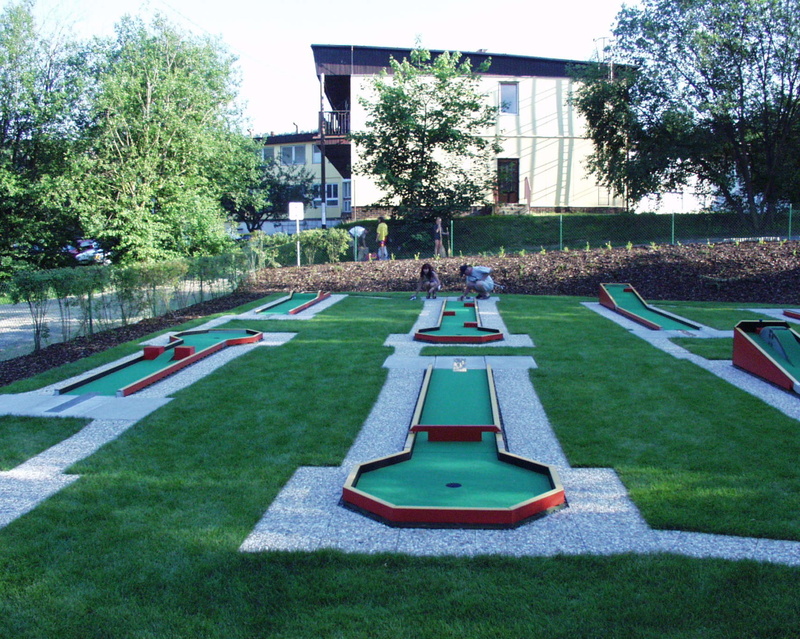 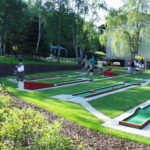 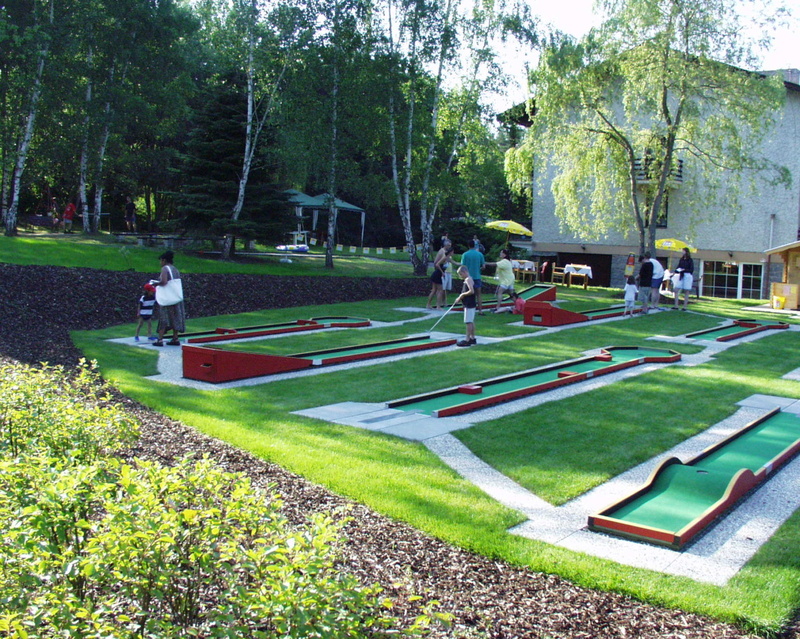 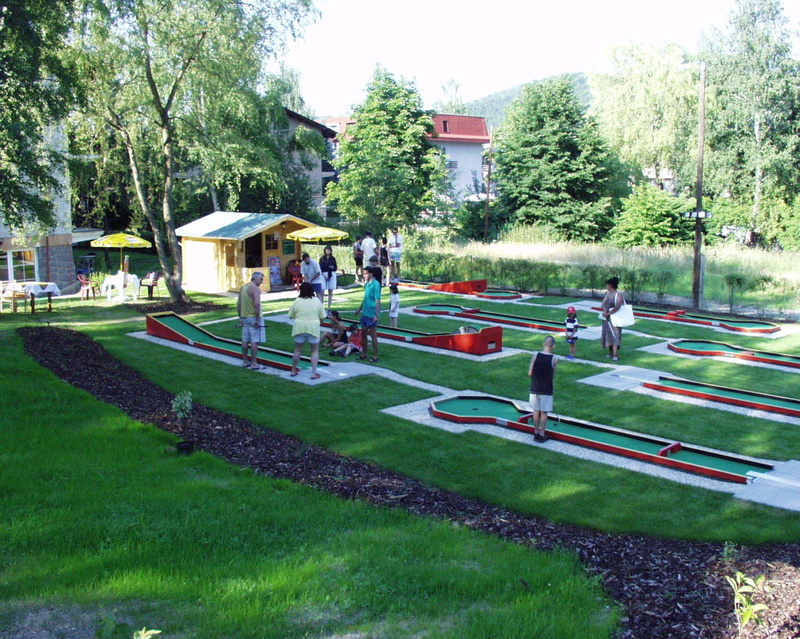 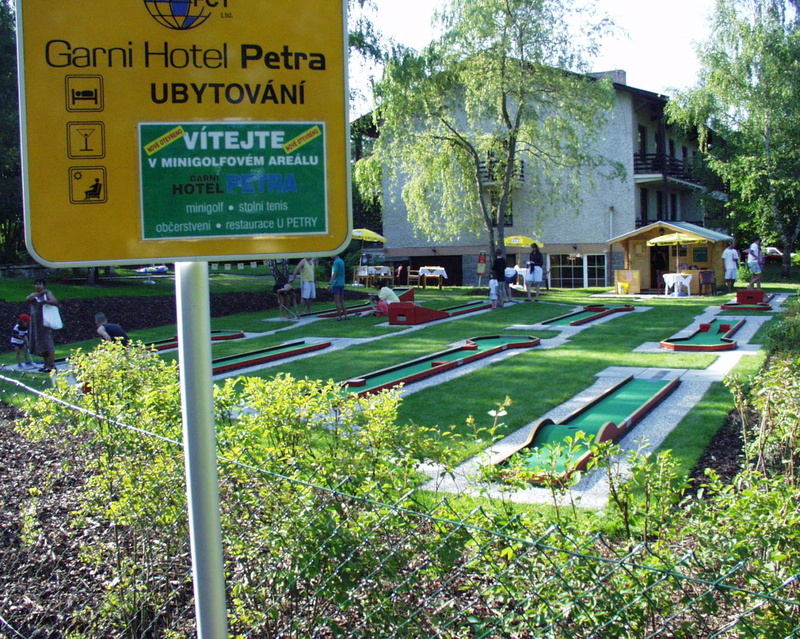 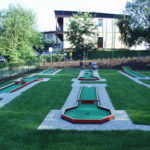 As in the case of HOBBYGOLF, this type is a compact recreational version of minigolf course, but more similar to the type GREENGOLF. 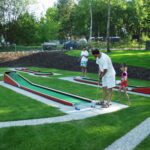 The course MINIGREENGOLF is produced from stainless steel structure and cement plates covered with special carpet for minigolf for outdoor installation. 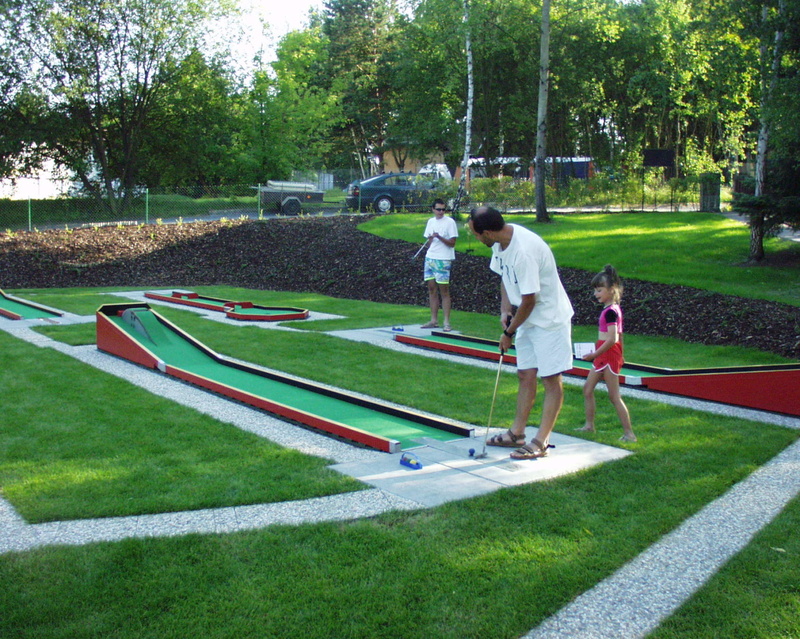 A less-expensive wooden version can be applied for indoor installations. 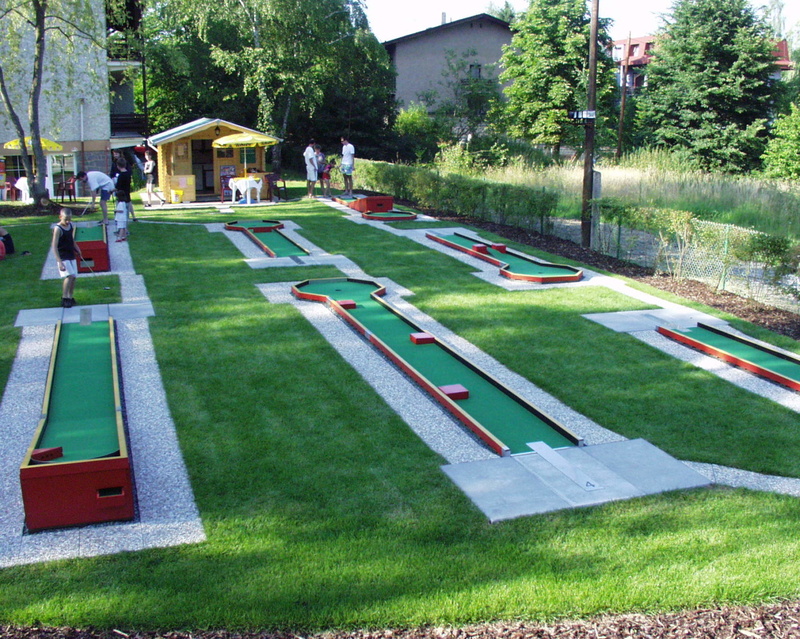 The course is suitable where there is requirement for high quality in smaller spaces. 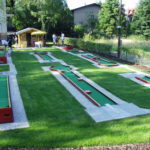 Our offer includes 18 tracks, the length of which is 6 to 10 metres, width is 0.6 m and diameter of target area is 1.2 m. The recommended area for installation is 800 m2.